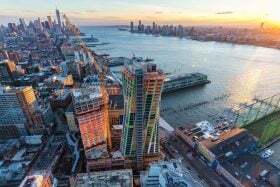 The sleek 670-foot-tall, 58-story condominium tower at 161 Maiden Lane that broke ground in 2015 alongside one of Manhattan’s most iconic vistas is leaning three inches to the north, according to a lawsuit filed by the project’s contractor, the Observer reports. 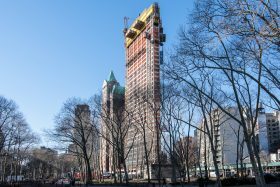 The contractor, Pizzarotti, filed a suit in New York State Supreme Court that alleges that an off-kilter foundation affects the structural integrity, facade, waterproofing, and elevators at the 150,000-square-foot tower and that developer Fortis Property Group is responsible. 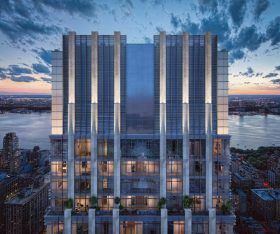 The Hudson Companies Inc. has just announced the topping out of the 38-story One Clinton condominium building in Brooklyn Heights. 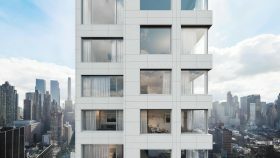 The new building, with entrances at 280 Cadman Plaza West and 1 Clinton Street, was designed by Marvel Architects, who gave the 409-foot tower a Flatiron building-inspired shape. 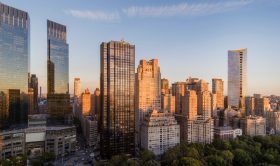 A state Supreme Court ruling on Thursday overruled the city’s decision to allow a permit for 200 Amsterdam Avenue, the controversial Upper West Side condo project that has been challenged by community groups and elected officials because of its oddly-shaped, gerrymandered lot. 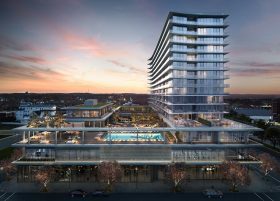 As Crain’s reports, the Board of Standards and Appeals, which approved the project last year, has been ordered to go back to the drawing board and re-evaluate the permit for the project led by developers SJP Properties and Mitsui Fudosan, who have already started construction at the 69th Street site. Current views of 125 Greenwich Street at its full height. Photos courtesy of Field Condition. 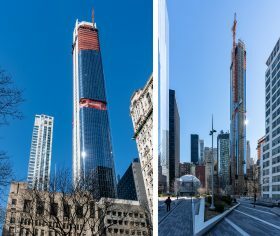 Situated at the northwest corner of Thames Street, just south of the World Trade Center and northwest of Wall Street, Bizzi & Partners Development’s condo tower at 125 Greenwich Street has officially topped out at 912 feet. 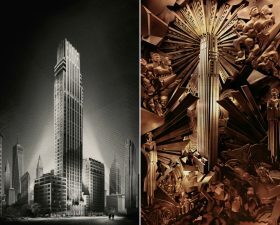 Designed by Rafael Viñoly Architects, the firm behind 432 Park Avenue, the building will offer some of the highest apartments in the Financial District. 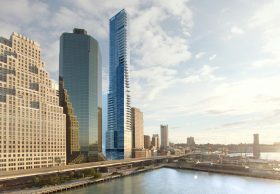 Upon completion later this year, the 88-story tower will house 273 residences.